Meet my lovely Volkswagen Beetle; her name’s Betty – a random name christened by two of my former college mates. I purchased her 8 years ago for my 25th birthday, probably informed by the fact that birthday gifts had increasingly been hard coming by; but more so for the love of the shapely and iconic peoples’ car. 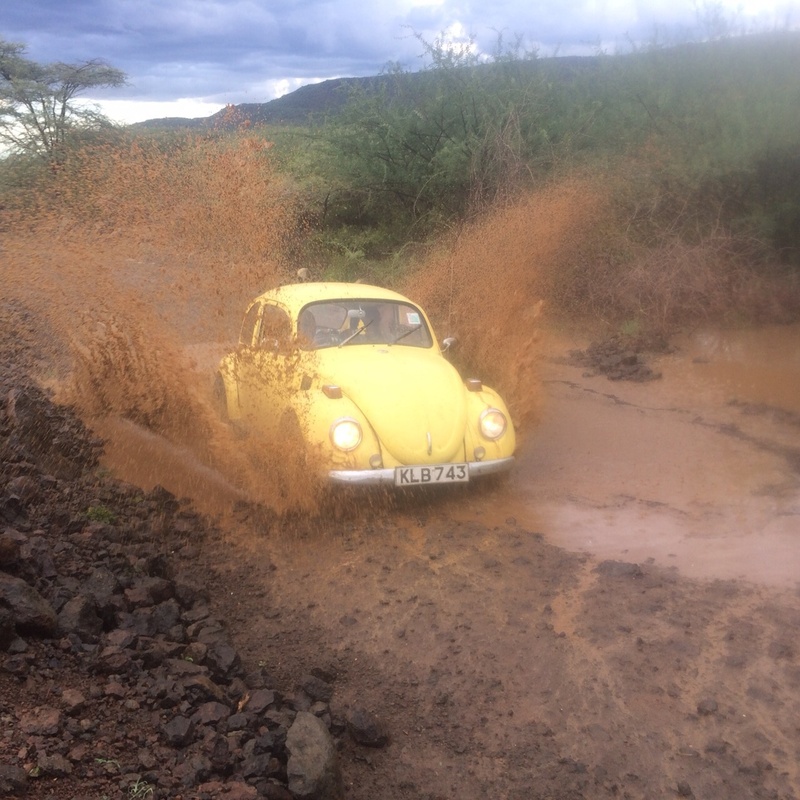 It’s been a bittersweet eight years of classic beetle ownership: bitter at the beginning t but loads of fun for the last five years since I met the most wonderful, friendly, caring, focused, fun loving, knowledgeable group of young Kenyans brought together by their great love and passion for the classic Volkswagens – The Volkswagen Anonymous Club of Kenya. 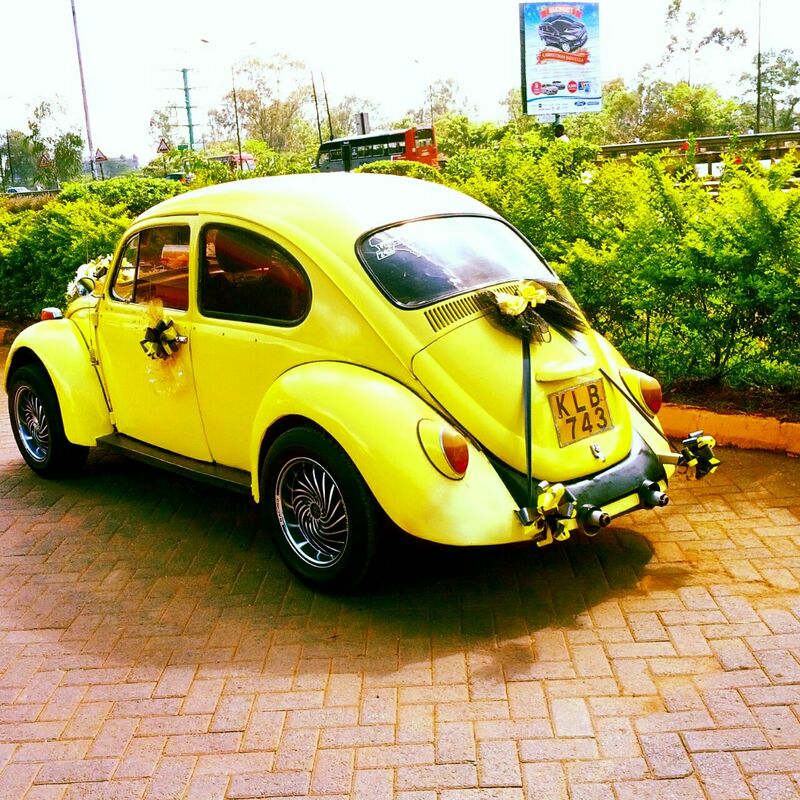 Betty is a 1968 Volkswagen Beetle running on a 1600cc air-cooled motor. The car is fairly stock but boasts of a few mods such as: A high ratio VW Variant gear box, Pertronix electronic ignition, alloy rims with wider profile tyres, a protruding rear valance taken from a super beetle, customized rear bumpers and with a custom upholstered interior to boot. Thanks to her conspicuous yellow colour, Betty is a darling to many and is arguably the classic beetle with the most paid up wedding appearances in Kenya which in turn accounts for her numerous TV appearances and even once in a feature in one of the local dailies – The Nairobian. Being my first car and the most preferred, she has taken me on many a club drives touring various towns and regions of the country in the spirit of domestic tourism. Most notably: Mombasa (North and south coast), Oloitoktok, Lake Bogoria, Lake Elementaita, Machakos magnetic hills, Muranga TT, traversed the vast Kajiado county among other areas of our republic. Over the years, the 48 year old Betty’s reliability has drastically improved to the level of modern fuel-and-go cars, which coupled with my acquired DIY skills have greatly boosted my confidence levels to the extent that she has been and continues to be my daily driver. My ambition to write a book on my adventures with Betty is urging me to stop here for today. I could go on and on and on.